Android phones are quite powerful these days, but there are still people who wish their phones were a little faster. It may be that they purchased an economy phone that does not have much process power or the phone may be outdated, or the phone may be so loaded down with apps and programs that it has slowed the phone down. Whatever the reason is, it is important to try to speed your phone up again. Here are a few ways that you may do so. Think about using a home alternative. There are quite a few third party launchers out there that you can use. They are an alternative to the launcher that comes with the Android. The Android home is quite complex and takes up a fair amount of memory, RAM and processor power. A third party launcher offers a strip down all of these functions, so that you are just presented with a simple launching program. The home page (home/home screen) may often have its settings lowered to a level that requires less processor power or memory. It is like when you play PC games and you lower the graphics so that you can play the game without it getting jerky. A similar thing may be done with an Android in many cases. Settings > Display > Animation. 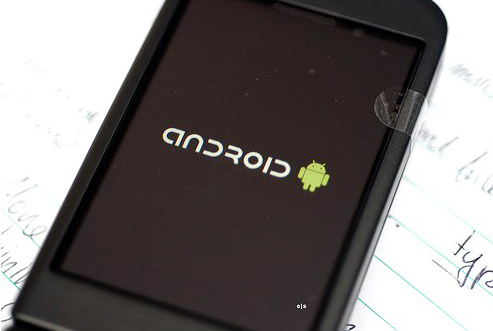 Doing this is both pragmatic and will improve your Android performance. Open Browser > Settings > Plugins. It looks pretty and it makes using your Android a little more interesting, but it does have a drag factor on the performance of your Android phone. So, it is better if you do not use live wallpaper. Uninstall any applications that are not used anymore (unless they cost you a lot of money). If you have apps that you use very infrequently (maybe such as a currency converter), but that was also free, you should delete it. If you need the free app then you can just download it. Removing apps will free up some memory space. Memory usage will affect your Androids performance. Imagine that your Android OS is a librarian, and the apps are books in the Library. If there are fewer books then the librarian will find your Where’s Wally books faster. Your apps will take up a certain amount of processor power and memory. Some apps are far slower than others, so uninstall the applications that consume too much memory and replace them with others that have the same function but consumes less. There are apps on the android Market whose coding is not optimized which makes them run slower. Find the ones that are better-optimized (have “tighter code” if you wish to use programmer parlance). Heavy apps (ones that use lots of processor power and memory) may often be loaded with features that you never even use. You may find other apps out there that do less and yet still have all the features you need. Some of these will run without your knowledge. Which means it may be time to have a good look at what your Android is actually up to. For example, many people leave their GPS on in the background without realizing it is drinking their processor power and memory. Good functionality and reliable. Worth mentioning for sure. Might add it to the list sometime.